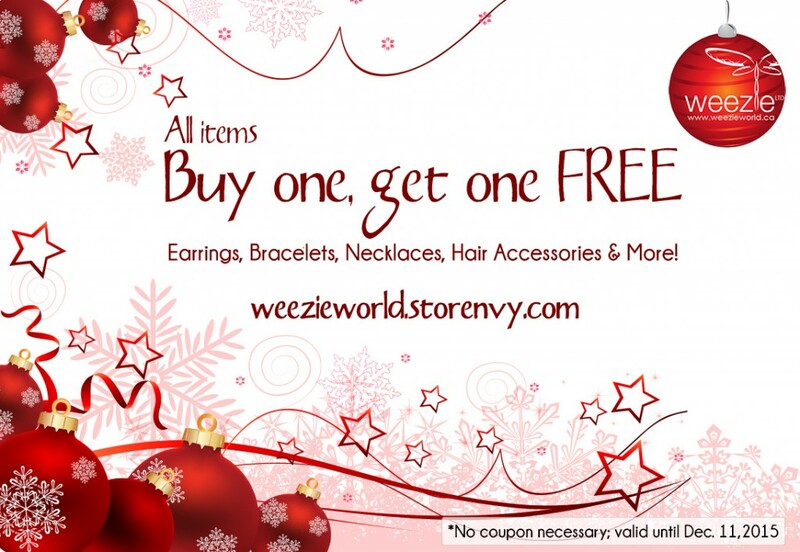 Home / Weezie World’s NOT Black Friday Sale! That’s right, I’ve just updated my online store with close to 100 new items (with more still to come!) and thought it was the perfect time for a sale. I mean, hey, I’m Canadian – Black Friday isn’t technically a thing here anyway, so why wait! Not only has my store had a facelift, it’s got quite a few new items, including kids jewellery, hair bling, and knitting accessories. I’m offering a Buy one, get one FREE promotion from now until December 11 (the date Canada Post has chosen as their ‘if you don’t mail your stuff by today, your gifts won’t arrive in time for Christmas’ deadline.) The promotion is good for everything in my store, too, so it’s the perfect time to stock up on some shiny stocking stuffers! Tell your friends! And drop by often for new additions! ← Who’s Heading to Kempefest 2015?